The plan is to calculate load times based on the number of doors on either side n and passenger capacity p. The width of the door should have a non-linear relationship to the throughput. This will be neglected though. Thus a single door at an old long range trains has a value of 1, double doors 2, i shall give wide double doors (eg in subways) a value of 3.
c is a constant conversion factor, to be tweaked to get results compatible to the game. per km running cost of vehicles is to be calculated based on the engine power, combustion type and (perhaps fuel type). The primary energy required for one km at 2/3 maximum engine power is calculated at half maximum speed v. The monetary cost is a time dependent function, normalized to 1000 for year 2000. A constant factor c that is tweakable is used to convert to simutrans money. Unpowered vehicles need more thought. Two approaches might be sensible. Guess acceleration profiles and base cost on kinetic energy (at half max speed) or on friction only, introducing friction/drag coefficients. Beware that all of this is super crude, averaging over non linear relations is a bad thing to do. At this point in time i collect data on powered rail vehicles. As soon as i have entered enough to have a good variation for testing, i can start to write the scripts for dat creation. I am speechless! Another great project from the start. I love to build updated versions of "pakset" (as nightlies), I saw that in the project of pak128 there is a file that works with XP called "pak128.bat" you've never used it? you know if it works? I'd like to try it. the github repo i have is mostly identical with the svn mirror of open-pak128. Thanks for offering planes. However, i want to keep all graphics a subset of open pak128, so best way would be including your planes there. The reason therefor is, that i don't want to divert the valuable resource of graphics from the main pak-set this is merely a branch of. It ´s possible that´s the talking over this projekt be paused until tomorow 17:00 clock? I have morning make a job and my job end at 16:30! This is exactly what I've been waiting for before starting a new game of Simutrans again, very much appreciated! When my final uni exam will be done in 5 weeks, I'll jump on this, hopefully also being able to help with testing. You wrote that you intend to make the graphics a subset of open pak 128, are you planning to convert most or even all vehicles though? I can't say at this point in time if i will include all or most vehicles. I likely start with a very small subset and increase coverage of the timeline from there. oh, and don't hold your breath, progress will be quite slow, it does not have a very high priority. on and i have be get an idea. It´s possible to use parts from pak128.britain to make the pak128 exp better? The Mainmenu from pak128.britain have all waytyp that be give in simutrans! more is not necessarily better greenling. i don't think it would be a good idea to make an amalgam of those pak sets. It might always be possible to adpot single paks/png to the other pak set, but please discuss this at the fora of the pak sets in questions. I will not ad new graphics not included in standard pak128 into the pak. If soemthing is needed urgently for the experimental version, it is better to make arrangements to have it included in upstream, standard pak128. why want you not be have the waytyp Narrowgauge in the mainmenu? greenling, let's talk about this in roughly a year or so, shall we? You can see at the github how far my progress is so far. Nothing is a very good approximation. It's excellent to see another pakset become available with Experimental features - thank you for your work on this, Sdog. One or two small comments on the balancing: don't you take into account door size as well as door numbers for your loading times, as well as the internal layout of vehicles (e.g., whether or not there is a "standback" area near the doors to prevent people standing in the door areas and effectively making the door space narrower)? Both of those are significant for loading times. As for per kilometre running costs - ought one not also factor in fuel economy (which varied considerably especially amongst steam engines) and reliability? James, i don't think i can factor in internal layout of the carriages, at least not at this point in time. i assume that more doors in general also correspond to a more rush oriented internal layout. But there is room for fine tuning in the future. The number of doors can easily be seen at the png or photos on the net, this is the reason i chose it as factor determining load time. The fuel economy is already factored in in the primary energy demand of those vehicles. For steam engines i plan to use a time dependent function or input file to account for the increase of fuel efficiency. However i only have to take care of a timeline from 1930 to 1960, there was not so much change in steam engines. This might be quite a bit more difficult for diesel-electrics. 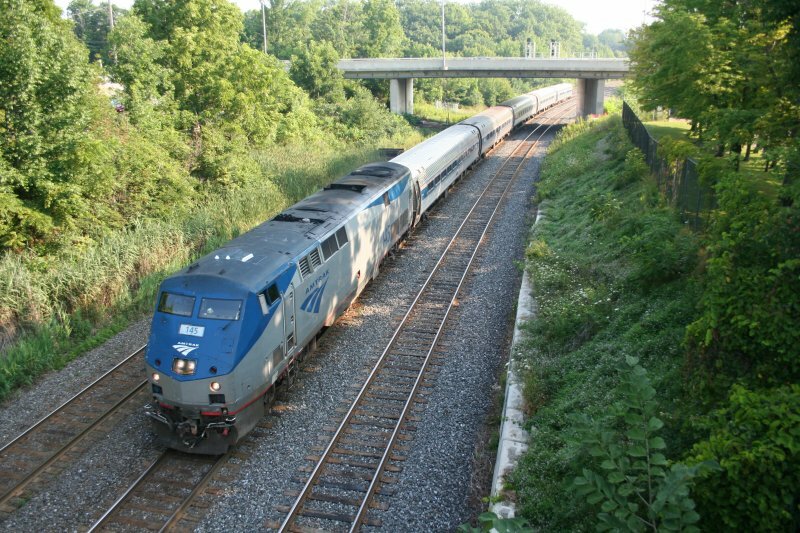 There's the case of EMD FT trains, each A unit is not bidirectional, it has a cab at one end. B units have only motors. 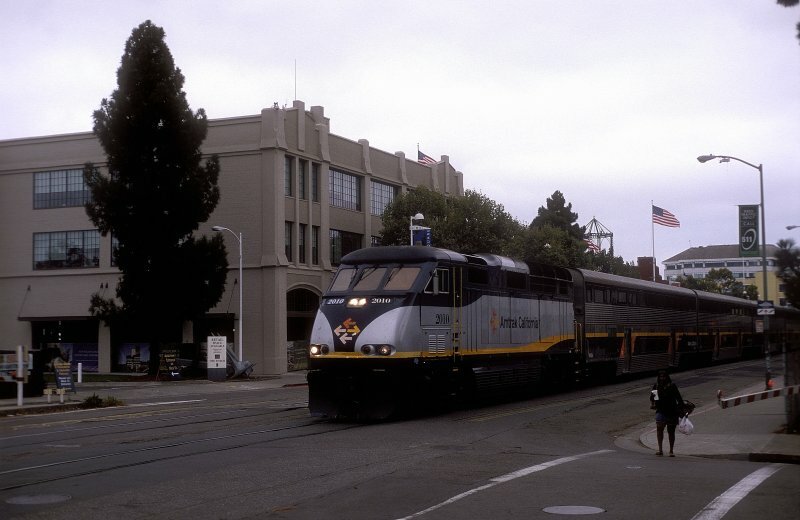 But they were often used as A+B-B+A sets in front of trains, this set is bi-directional in real live. I suppose there's no way to reflect this in experimental at this point of time? Is the load time specified in the pak the maximum time for a full train unloading and loading full again? The acutal load time at stops the time linearly reduced by the percentage of pax unloading/loading? (not actually a question, more a request) Did you already have a look at my extension request? the EMT FT units should be able to be simulated, as long as you have two different "A" vehicles: one for each direction, with neither set to bidirectional and the rear one set to "can_lead_from_rear=1". As to the extension request, I did see that, but haven't had time to reply yet, as it's a complicated topic - I shall get around to replying before too long, I hope! Take your time with replying. I've only mentioned it here since you've been quite busy last week and i wasn't sure if you noticed it. 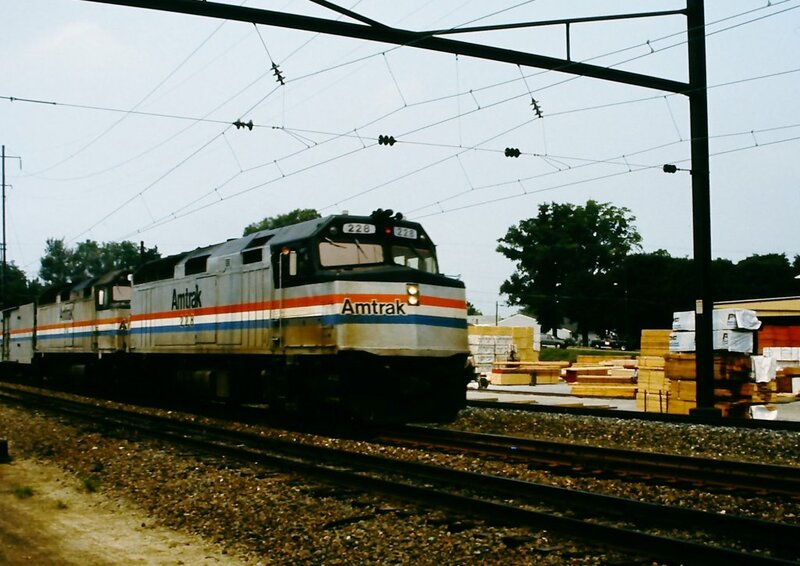 Oh, the situation with the EMD FT set is like this A+B-B+A'-CCCCC where C are the freight cars.The whole unit would have to be shunted to the other end of the train, just not turned around itself. Does can lead from rear work with units not at the end of the train too? I always assumed it would have to look kile this: A-B-CCCC-B-A' for A' the reverse A unit to lead from rear. Ahh, yes, "can lead from rear" does apply to the very rear vehicle only. I can't remember whether this will work properly or not without a change to the code - can you try it with all vehicles set to bidirectional? I suspect that it won't work, though - can you think of an abstraction with which these things can be coded? Setting bi directional would turn the A engines the wrong way. In effect it would work just the same, just look a little silly. There are hardly any trains/engine where this is necessary, i'm not sure if it's worth to invest coding time. Afterall it's just a rather cosmetic flaw. 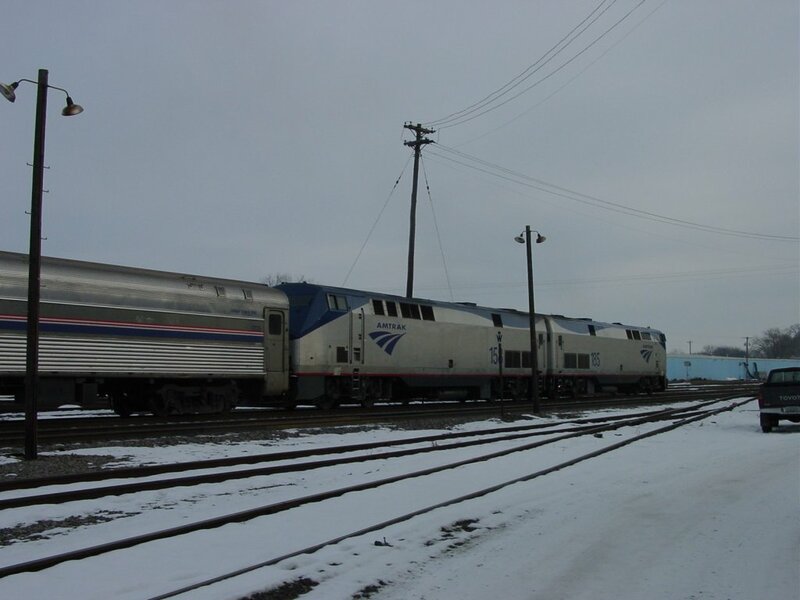 I've seen some GP60 B units lead a train, but those instances are very rare. How about adding a value like "can run in reverse" and whenever more than one locomotive in the convoy consist has that value, the last locomotive is graphically turned to face reverse? A engines will be flagged for "can run in reverse" and B engines will not. So when you only have A-B, the game should turn around the entire convoy, but in A-B+B-A, A-B-A, A+A and A+A+A configurations the last engine will get turned around to face backwards. This should also work with "can lead from rear", but I've yet to see a double headed commuter train. Hmm - I'd like to be able to accommodate this without having to add any parameters, if possible. Even though it may be a somewhat marginal case, I do like to accommodate such marginal cases where possible, as I do for the Garrett in the Pak128.Britain-Ex pakset. As for SDog's suggestion - this might work, but I worry about what would happen if one had more than one "can lead from rear" in a convoy...? IMO, The easiest way by far, without adding any code, is to just add a reverse facing A unit that can be added onto the B unit. In pak128, there's the IORE, which has two single ended engines permanently fixed back to back. have you be talk over this enginetyps on the photos? 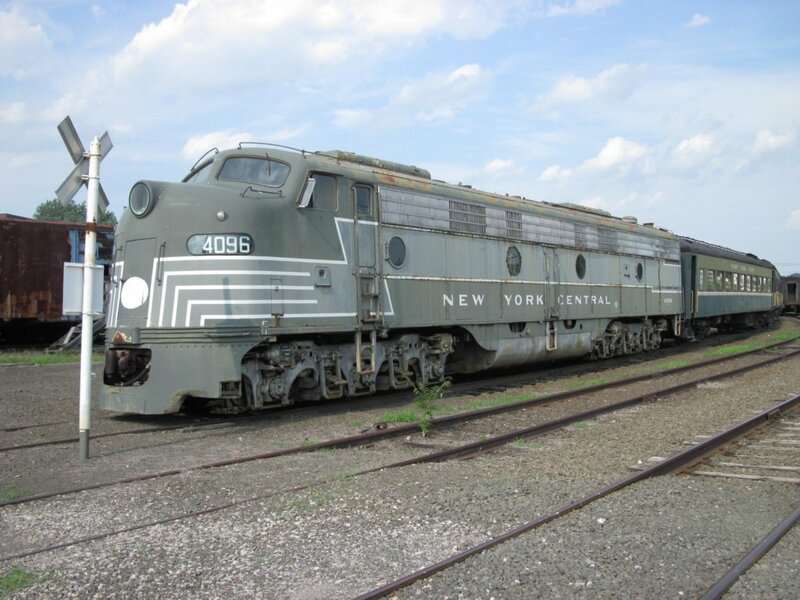 yep, basically most north american diesel-electric locomotives where they only have a cab on one end, but can be run in both directions or require at least two cab engines pointing away from each other to run in reverse. Not necessarily including pax trains with push-pull coaches, because that feature is already implemented and works. This sort of configuration, particularly. 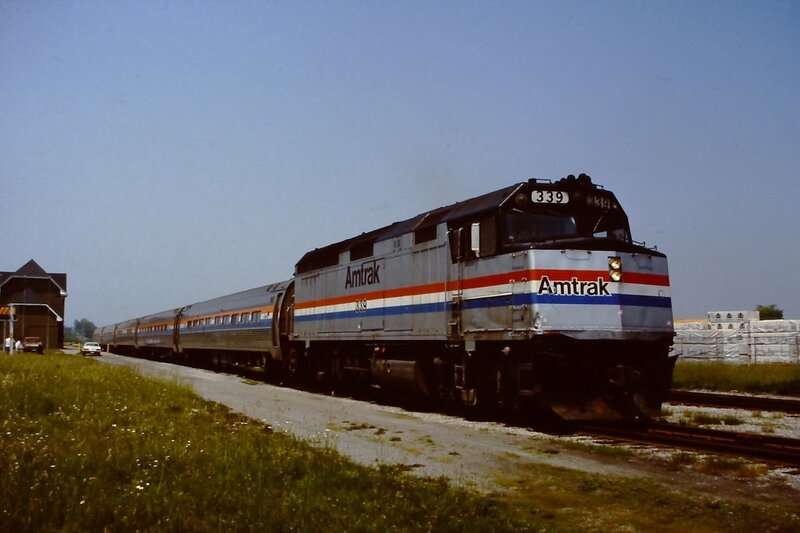 It's inconvinient for the majority of north american locomotives to run backwards due to poor visibility, so there are usually two or more and the last one usually faces backwards. Ít´s desirable to learn how to use engines with on sided Stearing cab? sit at the back of a full bus and think how easy it would be to control the bus from there. With the word: on sided Stearing cab hate i be mean the Vehicle on the photos what i make public! I created a ".bat" file for windows that can fill in the pak128exp. I am attaching to allow those interested to generate nightly. If someone tries it and does some testing I would be very grateful. I did some tests to see in action pak128exp, for now I only gave a brief glance. The only thing that I noticed is that using the current settings get city with few inhabitants but very large. James long ago I had suggested to increase the value of "renovation_percentage" on file "cityrulestab". By setting "renovation_percentage" around "40/50" the situation has improved. But I do not know whether to address this issue, increase "renovation_percentage" is the best solution or if there are alternative solutions to be preferred. against my plan i cant do anytginh for the project this xmas season. im coding for physics, as i got stuck mid december and need to catch up a bit. when looking at code all day i dont have thenerve to do thisafterwards. -- sorry this will have to stay in hibernation for quite a while. That's rather a shame - best wishes with your physics, and I shall look forward to seeing this flourish one day! I have updated the generator of pak128exp, I added the generation of housing created by Fabio. It seems that the forum does not allow you to download files that are attached directly to the post, does anyone know what is the section where I can report this anomaly? I think that your download link is broken - can you try re-uploading to files.simutrans-germany.com? In windows, using Pak128.bat you may make pak128exp. In the zip there is only the file Pak128.bat. Standard now includes fine control of electricity consumption/production, which clashes with Exp's electricity_proportion. Watch out for the industry commit series around this date, you might want to change the numbers. It does not strictly clash - electricity_proportion is retained for backwards compatibility, but gives way to the newer settings in Standard if they are specified. This seemed like a good project, it is sad to see it stopped.